• Dried plums - 10 pieces. • Cinnamon sticks - 4 numbers. • Cloves - 10 pieces. • Black cumin - 1/2 tea spoon. • Pepper corns - 10 numbers. • Coriander powder - 2 tablespoons. • Green cardamom - 10 numbers. • Onion (fried) - 2 tablespoons. • Pomegranate seeds - 1 tea spoon. • Bay leaf - 4 numbers. • Kasuri methi leaves/fenugreek leaves - 1 tea spoon. • Mace - 3-4 piece. Take all ingredients cinnamon stick, cloves, mace, kasuri methi leaves, bay leaf, fried onion, black cardamom, green cardamom, peppercorn,Pomegranate seeds, Onion (fried),in a blender. Later grind and transfer this to a plate. This powder is used for any type of Biryani. Store this powder in an airtight container away from moisture. Don't use a wet spoon while using the powder. Biryani masala is a blend of whole garam masala spices lightly roasted and powdered. This is specifically used in biryani's as this masala powder adds not only flavor but immense aroma to the dish. Garam masala powder is an important ingredient in biryani and non-veg curries. It enhances the flavors of a dish and can be stored for a long time. The perfect blend of masala powdered made with slightly roasted whole masalas. Hyderabad is a city of authentic Royal Nawabi Cuisine. Mutton Biryani is a most popular dish of this cuisine. It originated from the historic era of Nizam of Hyderab... Read More..
Garam masala powder is an important ingredient in biryani and non-veg curries. It enhances the flavors of a dish and can be stored for a long time. The perfect blend of masala powdered made with slightly roasted whole masalas. Hyderabad is a city of authentic Royal Nawabi Cuisine. Mutton Biryani is a most popular dish of this cuisine. It originated from the historic era of Nizam of Hyderabad. Today it is a well-known in entire South Asia, particularly in India and Pakistan. It is often served with Bagara Baigan, Mirchi ka salan, and Raita. The biryani is cooked in two ways: Pakhi biryani and the kachche biryani. The kachche gosht ki biryani is a traditional style of making the biryani by cooking the raw meat with spices for a couple of minutes and then covered with rice and put on dum. Hyderabad is a city of traditional Royal Nawabi Delicacies. Mutton Biryani is the most in-demand food of the cuisine. It came from the ancient period of Nizam of Hyderabad. These days it’s popular in entire South Asia specifically in India and Pakistan. It's often offered with Bagara Baigan, Mirchi ka salan, and Raitha. Biryani is among the preferred food across the world. It is probably the trademark food of Hyderabadi. It is a traditional food usually contains mutton, chicken or lamb or veggies but mutton is probably the most widely used dishes. The Nizams served some 26 types of biryanis for their guest. The biryani is cooked in 2 ways: Pakhi biryani plus the kachche biryani. The kachche gosht ki biryani is a standard type of making the biryani by cooking the raw meat with spices for short while after which covered with rice and put on dum. very helpful and i am certainly looking forward to trying out some of your recepies. 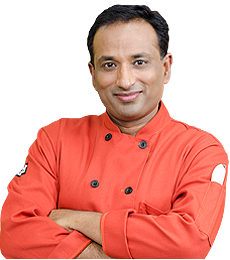 The chef is very enthusiastic and very clear cut on how to do follow recepies which is very good for 1st time cooks, carry on the good work. FAST FORWARD the first 5 MINUTES! he didnt even make the dish! hello ! thankyou very much for urs recipes ! but could u please say the names of the spice in ingles!! !i am from Brasil !